Doctor Who has been on and off the air ever since it premiered on British television on November 23, 1963, making it the longest-running popular drama series (excluding maybe daytime soaps). Thirteen actors have headlined the series as the Doctor during those 56 years; each gaining a loyal cult following and each earning the love of millions of fans worldwide. It isn’t too hard to see why the adventures of the otherworldly eccentric has influenced so many actors, screenwriters, and directors throughout the years. From the iconic theme song (composed by Ron Grainer and realised by Delia Derbyshire) to the various iconic villains to the trustworthy companions and the time travelling narrative that revolves around a time machine disguised as a telephone booth – Doctor Who has served up a mythology as rich as any blockbuster sci-fi series, be it Star Trek; Star Wars; or The Lord of the Rings. 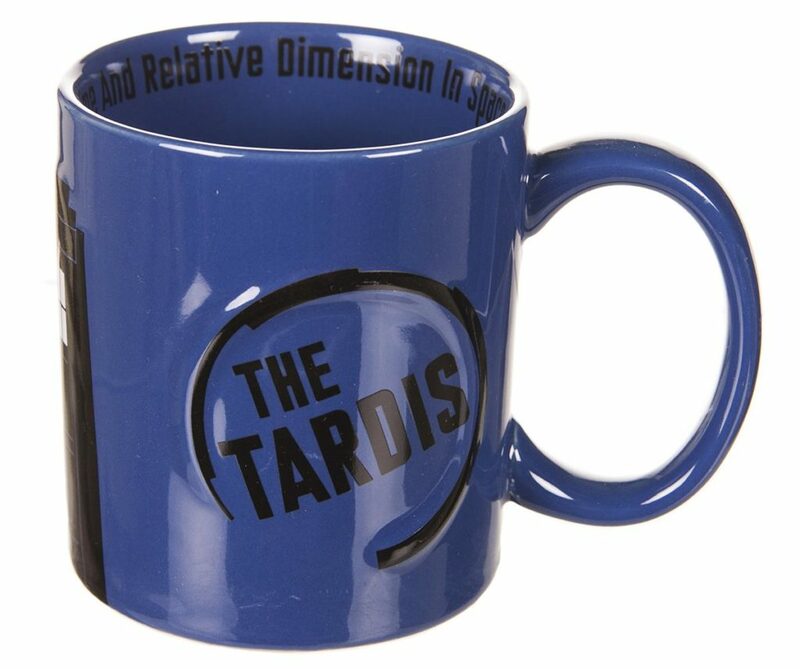 Since its beginnings, Doctor Who has generated hundreds of products related to the show, from action figures and video games to collectible picture cards and comics – and if you’re a fan of the show, you might be interested in adding some additional Doctor Who merch to your collection. Over the past few months, I’ve written about some of the products Toynk Toys has been kind enough to send me including the Fallout Mystery Box and the Golden Girls LookSee collection. As of writing this, I have not yet been disappointed with any of their box sets but of all the collections I’ve received, the Doctor Who LookSee Box might be the best yet! The TARDIS box is packed (and I do mean packed) with so much Doctor Who merchandise, your head will spin trying to figure out how they fit it all into one box. Included is a giant cookie jar that comes in the shape of the Doctor’s iconic time machine and – wait for it – makes authentic TARDIS sound effects! Also included in the box was a 22 piece sticker sheet set, a diecast Tardis keychain, a floating cyberman pen, an “I Heart the Doctor” Lanyard, an “I Heart The Doctor” rubber wristband and a Van Gogh exploding TARDIS Large Tote Bag. And that’s not all— you’ll also receive replicas of the 4th and 12th Doctor’s Sonic Screwdrivers each with their own unique sound effect. Designed to look like the Doctor’s handy Sonic Screwdriver, these bottle openers are made of durable plastic with the option to replace the top metal piece if needed. The Tardis box is packed with over $210 worth of Doctor Who merchandise and is currently on sale for only $79.99 USD. Of the three LookSee boxes Toynk has sent me so far, this is by far the best valued.